After completing the auditing courses, our clients were asking ‘What is next?’ The Diploma of Quality Auditing is fast becoming the entry point for auditors working in the compliance sector. It has already been made the minimum qualification for our RTO regulator, ASQA. 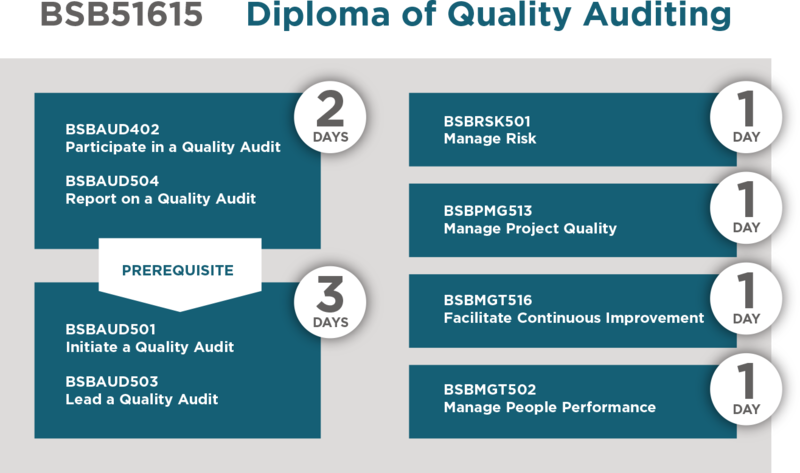 The following 8 units we provide will enable you to gain your Diploma in Auditing. You could be on your way to a new career! We do not provide training for these other elective units, but if you already have any of these units, we can give you a credit transfer towards your Diploma.